I'm looking forward to visiting these sweet folks again! Early Dismissal at Glenwood Elementary's "Author Day"
Well . . . We got one class in today before the snow came. The sixth graders at Glenwood Elementary were awesome this morning . . . so attentive and respectful! The teachers assured me their students would be on their best behavior and they were absolutely right. They asked intelligent and thoughtful questions regarding the Biltmore House. I was informed by one of the sixth grade teachers that her students will be writing their autobiographies soon. Won't that be a wonderful keepsake for their families? I hope some of the information I shared with them concerning the writing process will be helpful as they begin writing their personal stories. McDowell County is blessed with great educators. That statement is proved over and over to me each time I visit our elementary schools. Mrs. Caitlin Proffitt, media coordinator, was so kind, helpful and encouraging. After receiving approval from Mrs. Amy Dowdle, Principal, we will try and reschedule a date to finish the other classes in grades 2-5; hopefully, it will be in the next two or three weeks. Even though our day was cut short by inclement weather, I still enjoyed my "Author Day" at Glenwood Elementary this morning and look forward to returning soon. I'm going to Biltmore! Yes, I know... I have been there before.... many, many times. But I honestly never grow weary of it. Tomorrow, I am visiting the estate with some dear friends. I am honored they asked me to accompany them and be their tour guide for the day. The research I did while writing, "My Days with Nell," will come in handy as I share what I know about Biltmore and the Vanderbilt family. I am excited! Maybe it won't snow tonight.. and hopefully tomorrow will be warmer! UPDATE! 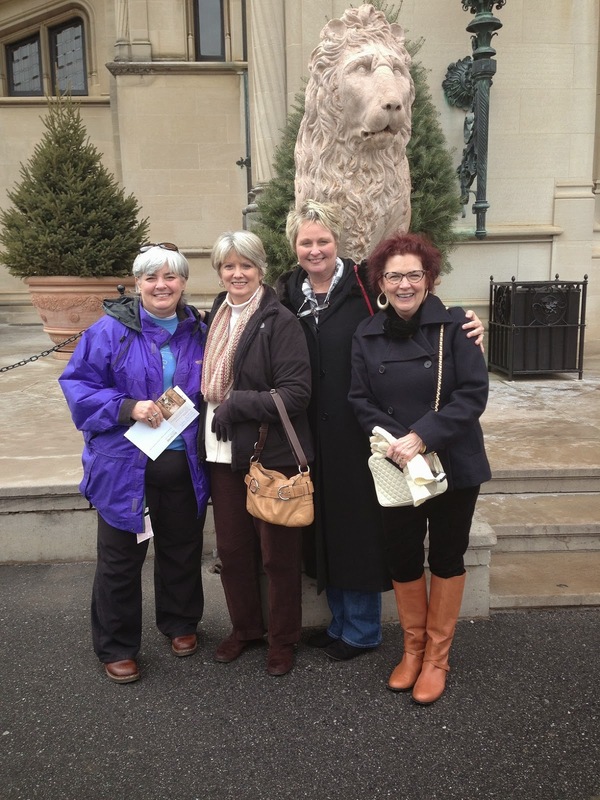 Thank you dear friends... Nancy, Cindy and Ann for a wonderful day! Love you ladies! Today I had the honor of visiting the students at Pleasant Gardens Elementary School. Although we had a two hour delay due to inclement weather, that didn't stop us! Thanks to the quick thinking and scheduling of a wonderful media coordinator, Mrs. Jennifer Miller, I was able to see all the students in grades 2-6. Those young ladies and gentlemen were awesome! They listened attentively, asked superb questions, and were on their best behavior. I could not have asked for better students! I am especially grateful to Mrs. Miller for staying with me, encouraging me, assisting me with the technology for my PowerPoint and granting me the use of her media center. She is an outstanding educator and made me feel "at home." I felt in some ways I was back home. This is the elementary school that I attended as a child. It is the school that my mother, father and brother and most of my relatives attended. The fact that I have such fond memories of my days at Pleasant Gardens Elementary School made today even more special. Visiting these young people blessed my soul; I loved sharing "My Days with Nell" with them. I tried to encourage them to try new things and to leave a legacy they will be proud of one day. It really was an amazing day for me...I hope the students learned something about the writing process and had fun discussing all things Biltmore! 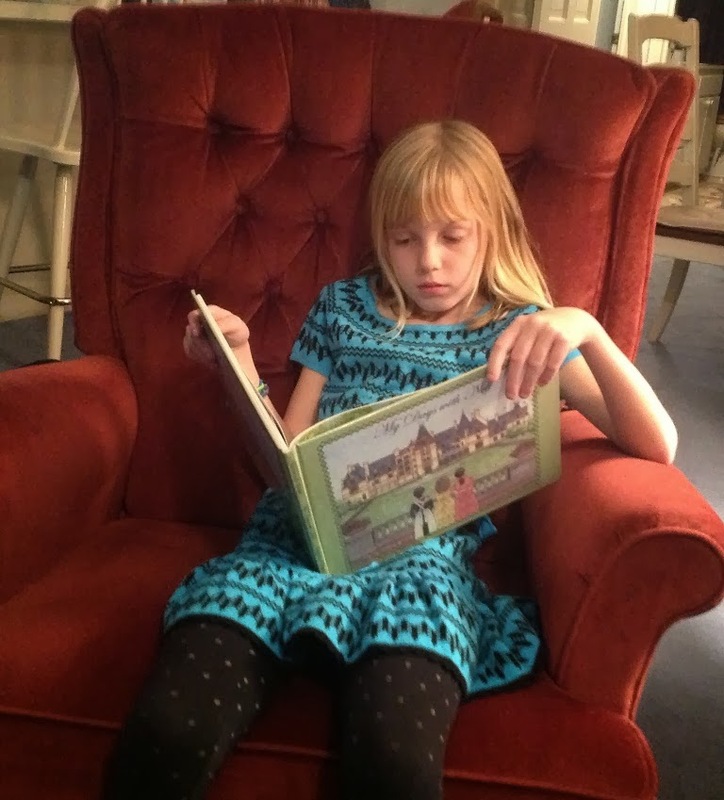 Ten year old Granddaughter, Anna Margaret, was totally engrossed in your book. She loves it! LOVE, LOVE, LOVE getting pictures....Brings a smile to my face and warms my heart! We made it to Barnes and Noble! 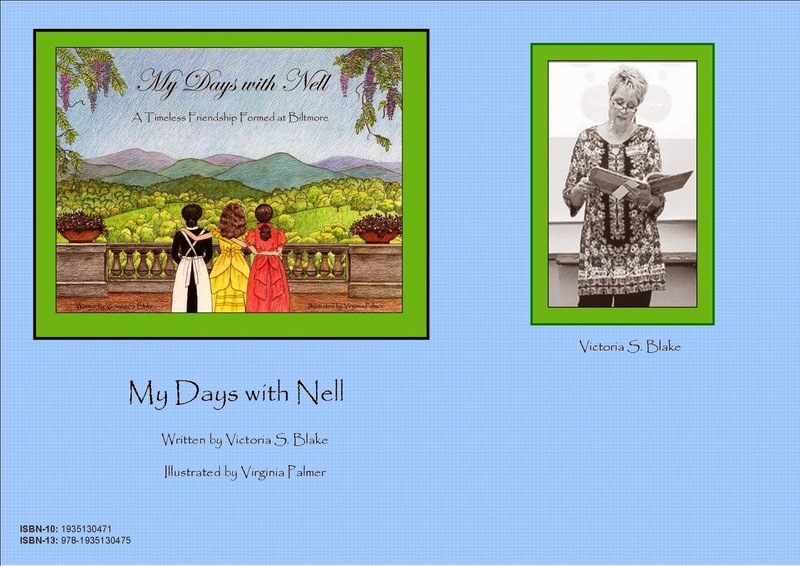 "My Days with Nell" is now available at Barnes and Noble! There is a tiny little mistake on the website. It offers the book for a presale price and says it will not be available until June, 2014! Not sure what that is all about! We have the book in our hands. I called the publisher and they have submitted a correction; however, it will probably take a couple weeks for the update to be reflected. Other than this little glitch, I am very excited to have it on the BN.com site! !